Days after releasing its Superzoom creative tool into the wild, Instagram is testing another new tool Stop Motion to join it. Stop Motion is a camera tool that lets you take a long series of photos. Which Instagram stitches up into a GIF that you can post in your story. The Stop Motion tool allows you to take a series of photos, but not to edit individual images. Once you’re done snapping photos, you tap “done” to gain access to story-editing tools like stickers and text. From there, you can post the stop-motion GIF to your story. After a year spent cloning almost every aspect of Snapchat, Instagram has turned to more experimental features. The success of its looping Boomerang format encouraged the company to introduce Superzooms, its Dramatic Chipmunk-style extreme close-ups. The new tool could inspire similar creativity. As always, there’s no guarantee the tool will ever be released globally. 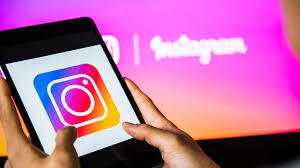 But if it proves popular inside the test group, it could join Instagram’s family of creative tools inside the Story camera.